We all know the problem of irritated skin as a grown up, right? Often, we ask ourselves “Whyyy?! I’m not a teenager anymore! I don’t want spots!” But in fact, irritations of the facial skin are not very unusual among grown-ups – unfortunately! Larger pores lead to irritations, blemishes and septic spots that we really don’t need in our lives. Many of us girls notice the spots before the beginning of our period, but also smog, the wrong food and stress can lead to spots and irritations. There are many different reasons why grown-ups can suffer from blemished skin and to find out which one is causing yours is definitely step one, but mostly, you can’t change your surroundings that easily. 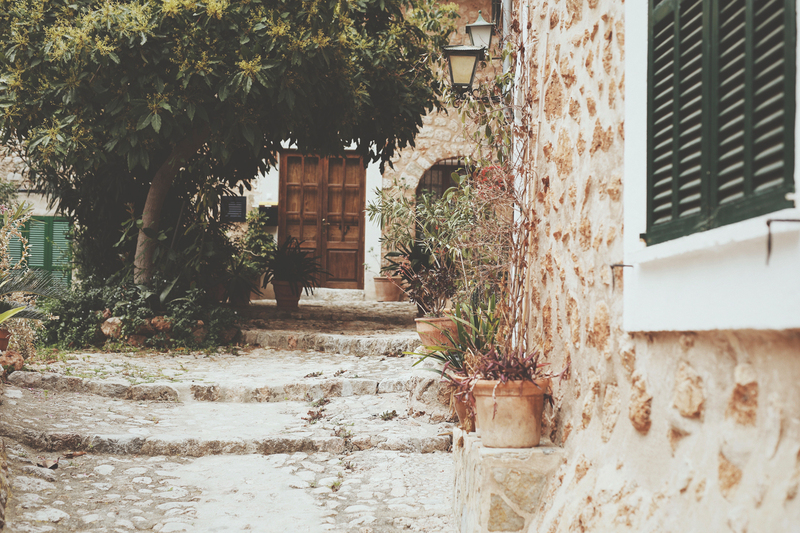 But wherever our imperfections may come from, there now is a natural way to treat them. My number one favorite French beauty brand Caudalíe*, which I’ve been using for ages as it is so natural and yet so effective, has launched a new skincare routine for a clearer and less blemished skin – in an all-natural way and without dehydration of the skin! Today, I would like to present to you the Vinopure cleansing routine and explain what makes this routine so special and innovative. Perhaps, this will be very helpful for some of you that also suffer from blemished skin as a grown-up from time to time. 1.Vinopure Cleansing Lotion* with natural salicylic acid, grape-polyphenols and biological essential oils is perfect for people with sensitive combination skin. The cleansing is ideal to prepare the skin for the following care routine. It also reduces blemishes visibly, refines the skin texture and minimizes pore size. The cleansing is being used in the mornings and evenings with a cotton pad on washed skin. Don’t rinse and leave out the eye area. 2. The concentrated Vinopure Infusion Serum* with salicylic acid, grape-polyphenols and biological essential oils reduces blemishes and refines skin texture. It cleanses and refines the pores and activates a natural glow. The serum is being used in the mornings and evenings after the cleansing lotion and is being used on facial skin, neck and chest. For very dry skin, you may only use it once a day and you can also use it on one spot directly. 3. The Vinopure Mattifying Fluid* offers intense hydration and includes biological rose water, grape-polyphenols and biological essential oils and thus, helps reducing irritations naturally. It is used once every morning and evening on face, neck and chest while the eye-area must be left out. I am using the Caudalíe Vinopure-Serie, to prevent irritations and blemishes and I have got the feeling that my skin feels more relaxed and hydrated while my pores are looking smaller and my skin more clear thanks to this new cleansing series. I love the mattifiying fluid most, as it smells really great and gives my skin such a soft touch. Do you have to fight irrirations and blemishes from time to time? What’s your weapon of choice against it? 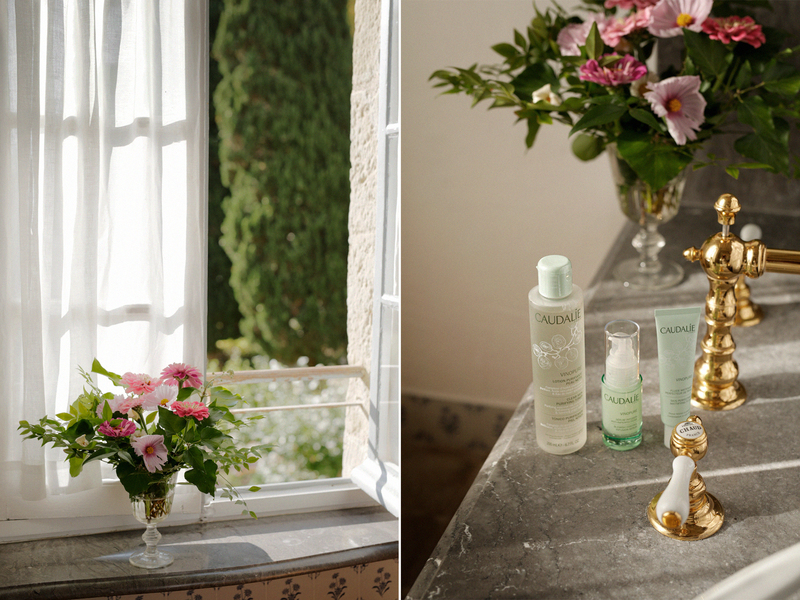 What are your favourite products and what do you think of the new Vinopure care series by Caudalíe? Do let me know in the comments! *Advertisement: this article is supported by Caudalíe. 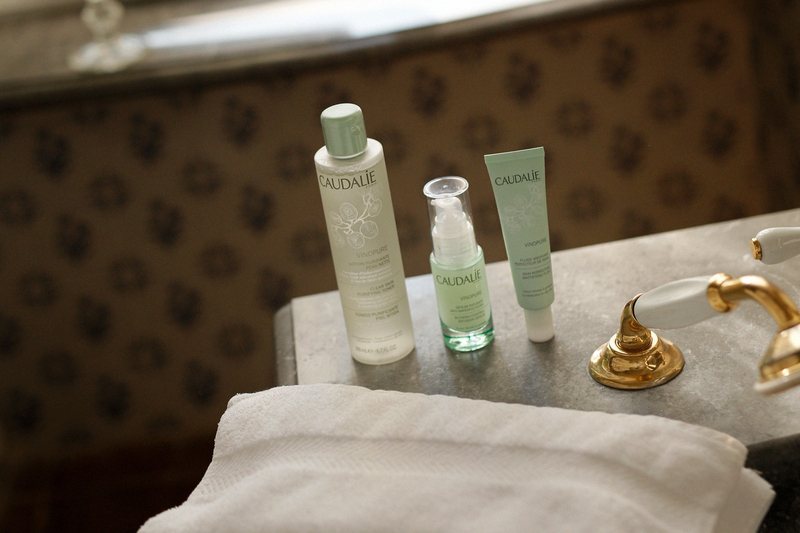 CAUDALIE have just hit the right spot with their products! The natural acids and grape extracts work miracles and are so soothing for the skin! Thank you for introducing their newest product which definitely is worth to try!